I was driving around in my native habitat of Louisiana over the last week and found this gem. Shady Lane is, in fact, a dead-end street both literally and metaphorically. 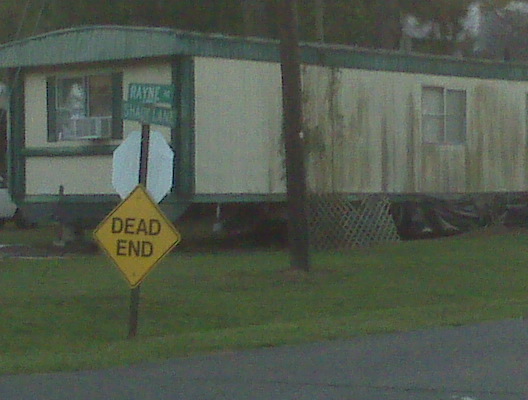 On top of that, it’s a dead-end street in a trailer park! Awesome street name – Check! Even better physical/metaphorical sign under it – Check! Deliciously White Trash Trailer – Check! I’m pretty sure I am pretty much the most awesome person alive right now because I got all those things in one picture. The only way it would have been better is if the sun hadn’t kept me from getting a good picture of the El Camino at the trailer next door in the shot too! It had a 4-wheeler and a two 2×6 boards (for ramps I assume) in the back of it! You can’t make this stuff up! 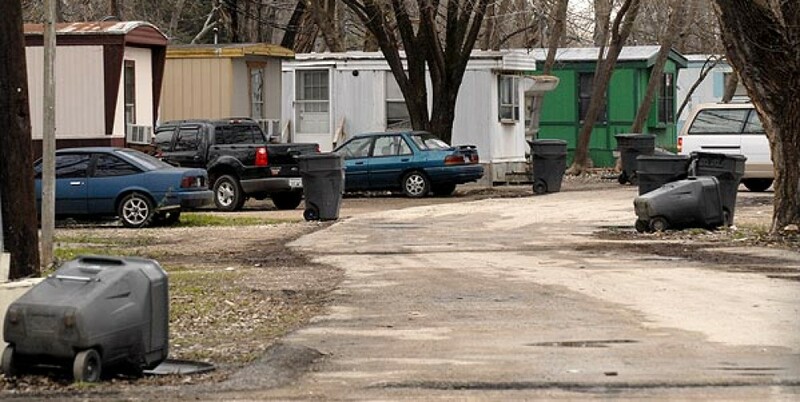 To the Shady Trailer Owner: Your Trailer Park Is Showing!